* BLUE TOOTH, * ALLOY WHEELS, CLEAN CARFAX, POWER WINDOWS/POWER LOCK. Awards: * 2013 IIHS Top Safety Pick Odometer is 21157 miles below market average! Clean CARFAX. 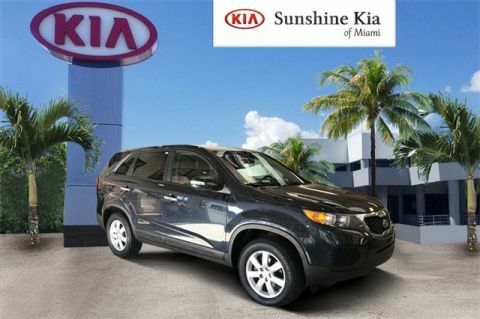 21/30 City/Highway MPG FWD Sorento 2013 2013 Kia Sorento LX 6-Speed Automatic with Sportmatic LX Kia 21/30 City/Highway MPG 2.4L I4 MPI DOHC Dual CVVT Baltic Blue 4D Sport Utility Reviews: * If you're looking for a capable and family-friendly crossover SUV that won't break the bank yet still has plenty of features, put the Kia Sorento on your shopping list. Source: KBB.com * Plentiful standard features; decent size third-row seat, sporty handling; optional fuel-efficient four-cylinder; optional powerful V6; long warranty. Source: Edmunds INTERNET SPECIAL PRICE EXCLUDES TAX, TITLE, TAGS, DMV, DEALER FEE. SEE DEALER FOR DETAILS. Odometer is 11042 miles below market average! KBB Fair Market Range Low: $13,670 CARFAX One-Owner. Clean CARFAX. 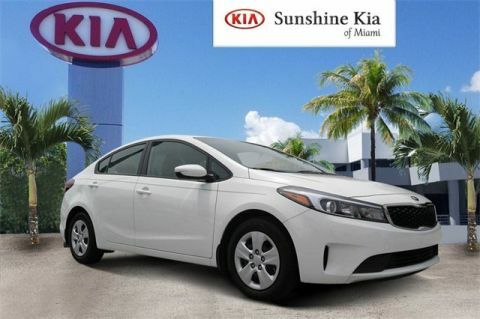 29/37 City/Highway MPG FWD Forte 2018 2018 Kia Forte LX 6-Speed Automatic LX Kia 29/37 City/Highway MPG 2.0L I4 DOHC Dual CVVT Clear White 4D Sedan Priced below KBB Fair Purchase Price! INTERNET SPECIAL PRICE EXCLUDES TAX, TITLE, TAGS, DMV, DEALER FEE. SEE DEALER FOR DETAILS. KBB Fair Market Range Low: $15,048 Clean CARFAX. 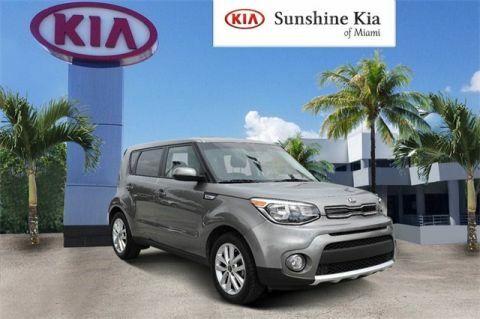 25/30 City/Highway MPG FWD Soul 2018 2018 Kia Soul Plus 6-Speed Automatic with Sportmatic Plus Kia 25/30 City/Highway MPG I4 Titanium Gray 4D Hatchback Priced below KBB Fair Purchase Price! INTERNET SPECIAL PRICE EXCLUDES TAX, TITLE, TAGS, DMV, DEALER FEE. SEE DEALER FOR DETAILS. gray Leather. Awards: * 2015 IIHS Top Safety Pick * 2015 KBB.com 10 Best UberX Candidates KBB Fair Market Range Low: $12,933 CARFAX One-Owner. Clean CARFAX. 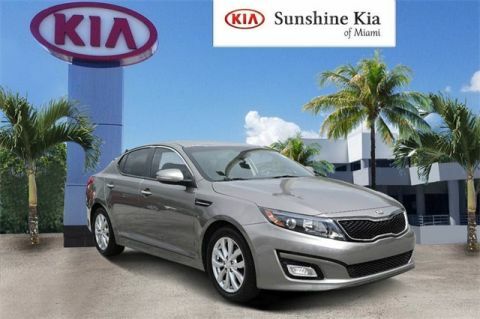 23/34 City/Highway MPG FWD Optima 2015 2015 Kia Optima EX 6-Speed Automatic with Sportmatic EX Kia 23/34 City/Highway MPG 2.4L I4 DGI DOHC Titanium Silver 4D Sedan Priced below KBB Fair Purchase Price! Reviews: * Looking for a practical family sedan that doesn't look like a practical family sedan? You have a few cars from which to choose, but none as feature packed as the 2015 Kia Optima. Source: KBB.com * Lots of standard and optional features for the money; handsome cabin with easy-to-use controls and comfortable front seats; top crash scores; lengthy warranty. 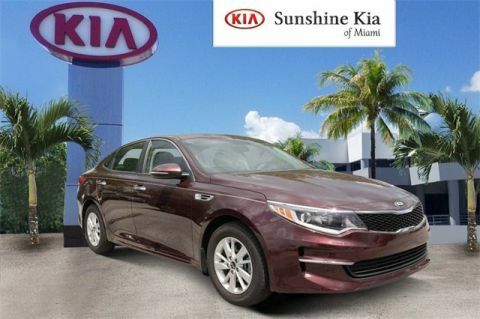 Source: Edmunds * With world-class engineering, outstanding performance and advanced safety systems, the 2015 Kia Optima gives you good reason to be passionate about driving a midsize sedan. It combines bold exterior styling, performance and a spacious, luxurious cabin. With the Optima, exhilaration is standard. The key to its exciting performance are the two available engines: the 2.4L Gasoline Direct Injection with an EPA rated 24 city/35 hwy mpg or the turbocharged 2.0L GDI I4 engine that delivers 274 horsepower and fuel efficiency of 22 city/34 hwy mpg. The Optima also has a standard 6-speed Sportmatic transmission for an engaging driving experience. The Optima Hybrid features a 2.4L Atkinson cycle 4-cyl. engine giving an amazing 35 city/40 hwy mpg. Spacious and comfortable seating can accommodate five adults and includes a driver's seat with power lumbar and available leather seat trim. Rear seats have a 60/40 split-folding design for added versatility. Optima EX/EX Turbo and SX Premium Packages include front and rear heated seats and heated front seatbacks for cold-weather comfort. The Optima is designed to make every drive a pleasure. The available Premium Touring Package includes features like the innovative UVO infotainment system which lets you use your compatible cell phone to make hands-free calls, receive and respond to text messages, listen to streaming audio, enjoy your personal music, and play your favorite song, artist or genre of music all by giving a single voice command, premium Infinity sound system for exceptional audio entertainment, and a panoramic sunroof. The available Technology Package includes a voice command navigation system, giving you access to detailed highway conditions from SiriusXM Traffic. Source: The Manufacturer Summary INTERNET SPECIAL PRICE EXCLUDES TAX, TITLE, TAGS, DMV, DEALER FEE. SEE DEALER FOR DETAILS. KBB Fair Market Range Low: $13,243 Clean CARFAX. 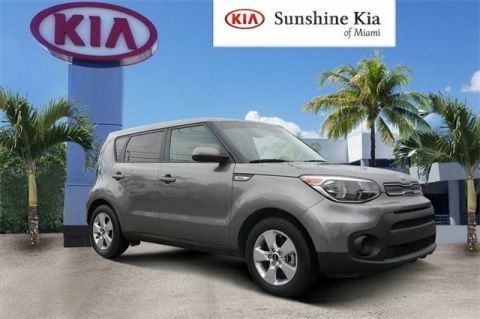 25/30 City/Highway MPG FWD Soul 2018 2018 Kia Soul Base 6-Speed Automatic with Sportmatic Kia 25/30 City/Highway MPG I4 Titanium Gray 4D Hatchback Priced below KBB Fair Purchase Price! INTERNET SPECIAL PRICE EXCLUDES TAX, TITLE, TAGS, DMV, DEALER FEE. SEE DEALER FOR DETAILS. Awards: * 2016 IIHS Top Safety Pick * 2016 KBB.com 16 Best Family Cars * 2016 KBB.com Best Buy Awards Finalist KBB Fair Market Range Low: $13,170 FWD Sedona 2016 2016 Kia Sedona LX 6-Speed Automatic with Sportmatic LX Kia 18/24 City/Highway MPG 3.3L V6 DGI venetian red pearl metallic 4D Passenger Van Priced below KBB Fair Purchase Price! Reviews: * Distinctive, un-minivan-like dashboard and cockpit; plenty of features for the money; versatile second-row seat designs; quiet cabin. Source: Edmunds INTERNET SPECIAL PRICE EXCLUDES TAX, TITLE, TAGS, DMV, DEALER FEE. SEE DEALER FOR DETAILS. gray Leather. Awards: * 2015 IIHS Top Safety Pick * 2015 KBB.com 10 Best UberX Candidates Odometer is 19239 miles below market average! KBB Fair Market Range Low: $14,857 CARFAX One-Owner. Clean CARFAX. 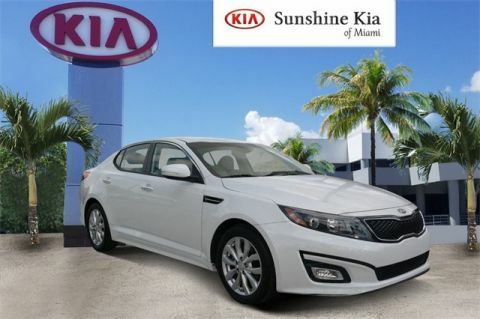 23/34 City/Highway MPG FWD Optima 2015 2015 Kia Optima EX 6-Speed Automatic with Sportmatic EX Kia 23/34 City/Highway MPG 2.4L I4 DGI DOHC Snow White Pearl 4D Sedan Priced below KBB Fair Purchase Price! Reviews: * Looking for a practical family sedan that doesn't look like a practical family sedan? You have a few cars from which to choose, but none as feature packed as the 2015 Kia Optima. Source: KBB.com * Lots of standard and optional features for the money; handsome cabin with easy-to-use controls and comfortable front seats; top crash scores; lengthy warranty. Source: Edmunds * With world-class engineering, outstanding performance and advanced safety systems, the 2015 Kia Optima gives you good reason to be passionate about driving a midsize sedan. It combines bold exterior styling, performance and a spacious, luxurious cabin. With the Optima, exhilaration is standard. 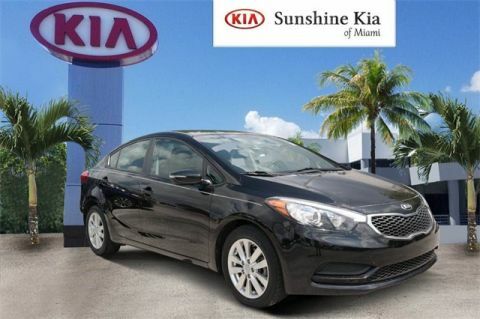 The key to its exciting performance are the two available engines: the 2.4L Gasoline Direct Injection with an EPA rated 24 city/35 hwy mpg or the turbocharged 2.0L GDI I4 engine that delivers 274 horsepower and fuel efficiency of 22 city/34 hwy mpg. The Optima also has a standard 6-speed Sportmatic transmission for an engaging driving experience. The Optima Hybrid features a 2.4L Atkinson cycle 4-cyl. engine giving an amazing 35 city/40 hwy mpg. Spacious and comfortable seating can accommodate five adults and includes a driver's seat with power lumbar and available leather seat trim. Rear seats have a 60/40 split-folding design for added versatility. Optima EX/EX Turbo and SX Premium Packages include front and rear heated seats and heated front seatbacks for cold-weather comfort. The Optima is designed to make every drive a pleasure. The available Premium Touring Package includes features like the innovative UVO infotainment system which lets you use your compatible cell phone to make hands-free calls, receive and respond to text messages, listen to streaming audio, enjoy your personal music, and play your favorite song, artist or genre of music all by giving a single voice command, premium Infinity sound system for exceptional audio entertainment, and a panoramic sunroof. The available Technology Package includes a voice command navigation system, giving you access to detailed highway conditions from SiriusXM Traffic. Source: The Manufacturer Summary INTERNET SPECIAL PRICE EXCLUDES TAX, TITLE, TAGS, DMV, DEALER FEE. SEE DEALER FOR DETAILS. KBB Fair Market Range Low: $13,504 CARFAX One-Owner. Clean CARFAX. 25/30 City/Highway MPG FWD Soul 2018 2018 Kia Soul Plus 6-Speed Automatic with Sportmatic Plus Kia 25/30 City/Highway MPG I4 Mysterious Black 4D Hatchback Priced below KBB Fair Purchase Price! INTERNET SPECIAL PRICE EXCLUDES TAX, TITLE, TAGS, DMV, DEALER FEE. SEE DEALER FOR DETAILS. KBB Fair Market Range Low: $13,563 CARFAX One-Owner. Clean CARFAX. 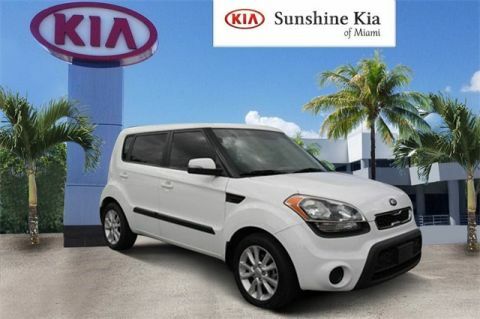 25/30 City/Highway MPG FWD Soul 2018 2018 Kia Soul Plus 6-Speed Automatic with Sportmatic Plus Kia 25/30 City/Highway MPG I4 Bright Silver 4D Hatchback Priced below KBB Fair Purchase Price! INTERNET SPECIAL PRICE EXCLUDES TAX, TITLE, TAGS, DMV, DEALER FEE. SEE DEALER FOR DETAILS. KBB Fair Market Range Low: $13,504 CARFAX One-Owner. Clean CARFAX. 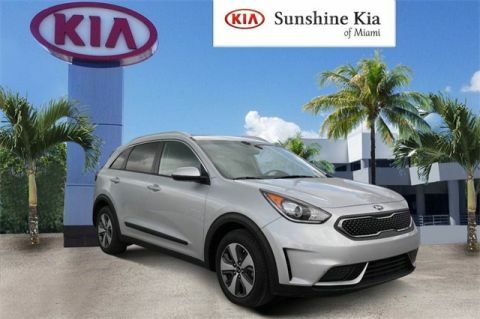 25/30 City/Highway MPG FWD Soul 2018 2018 Kia Soul Plus 6-Speed Automatic with Sportmatic Plus Kia 25/30 City/Highway MPG I4 Alien Ii 4D Hatchback Priced below KBB Fair Purchase Price! INTERNET SPECIAL PRICE EXCLUDES TAX, TITLE, TAGS, DMV, DEALER FEE. SEE DEALER FOR DETAILS. KBB Fair Market Range Low: $13,563 CARFAX One-Owner. 25/30 City/Highway MPG FWD Soul 2018 2018 Kia Soul Plus 6-Speed Automatic with Sportmatic Plus Kia 25/30 City/Highway MPG I4 Inferno Red 4D Hatchback Priced below KBB Fair Purchase Price! INTERNET SPECIAL PRICE EXCLUDES TAX, TITLE, TAGS, DMV, DEALER FEE. SEE DEALER FOR DETAILS. KBB Fair Market Range Low: $17,981 Clean CARFAX. 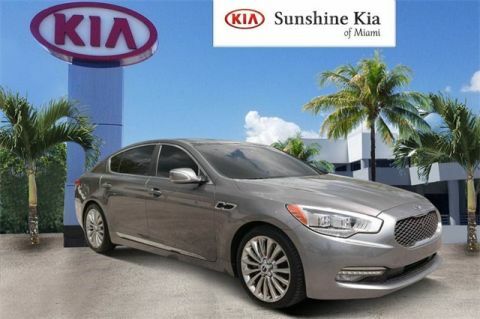 RWD K900 2015 2015 Kia K900 Luxury 8-Speed Automatic Luxury Kia 15/23 City/Highway MPG 5.0L V8 DGI DOHC Mineral Silver 4D Sedan Priced below KBB Fair Purchase Price! Reviews: * Impressive amount of standard and optional features; non-premium price; roomy and comfortable interior; generous warranty coverage. Source: Edmunds * Looking for premium luxury at a cost that won't break the bank? The all new 2015 Kia K900 sedan is built just for those with expensive taste and an economic mind. With soft curves and slim headlights, the K900 is a class act at just a glance. Genuine wood and leather accents encompass the cabin with rich attention to detail – bound to impress. Like any luxury sedan, the K900 is centered around making your life easy and enjoyable. With auto sensing rain wipers, a keyless entry smart key, heated front and rear seats, and a trunk with power open and close – you will find yourself never wanting to leave the comfort of your car. 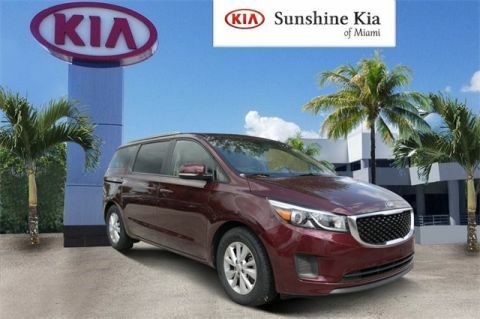 The standard features are bountiful, including panoramic tilt/sliding sunroof with power retractable sunshade, LED lighting, blind spot detection system, park assist with front and rear cameras, and even a heated steering wheel. The K900 doesn't ignore practicality. With a spacious cabin and 60/40 reclining rear seating – you can bring along more than ever before, with room to spare. 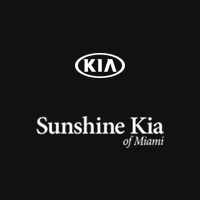 Of course Kia has your safety as their number one priority, equipping the K900 with dual front advanced airbags, a traction control system, and front/rear crumple zones to cushion any impact – to keep all of its passengers safe. What's luxury without a little kick? The K900 is no slouch with a 5.0 liter V8 420 hp engine at 6,400 rpm and 376 lb-ft of torque. So sit back, relax and grip a little piece of paradise in your hands; the K900 will keep you sitting in the lap of luxury, without draining your wallet. Source: The Manufacturer Summary INTERNET SPECIAL PRICE EXCLUDES TAX, TITLE, TAGS, DMV, DEALER FEE. SEE DEALER FOR DETAILS. Odometer is 4105 miles below market average! KBB Fair Market Range Low: $21,659 CARFAX One-Owner. Clean CARFAX. 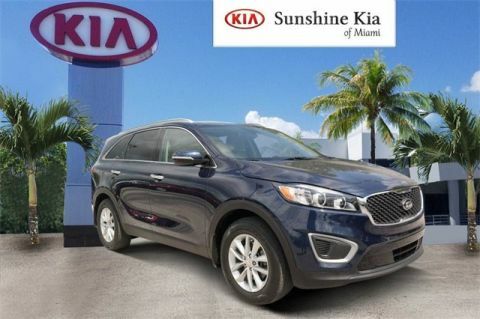 19/26 City/Highway MPG FWD Sorento 2019 2019 Kia Sorento LX 8-Speed Automatic LX Kia 19/26 City/Highway MPG V6 Snow White Pearl 4D Sport Utility Priced below KBB Fair Purchase Price! INTERNET SPECIAL PRICE EXCLUDES TAX, TITLE, TAGS, DMV, DEALER FEE. SEE DEALER FOR DETAILS. Odometer is 2813 miles below market average! KBB Fair Market Range Low: $21,243 CARFAX One-Owner. Clean CARFAX. 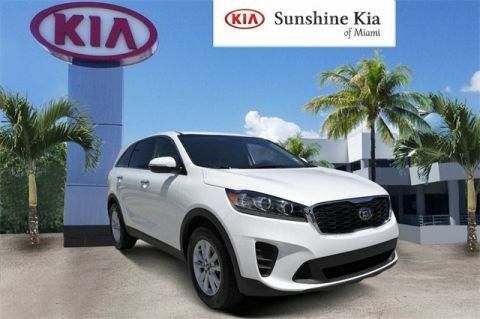 19/26 City/Highway MPG FWD Sorento 2019 2019 Kia Sorento LX 8-Speed Automatic LX Kia 19/26 City/Highway MPG V6 Snow White Pearl 4D Sport Utility Priced below KBB Fair Purchase Price! INTERNET SPECIAL PRICE EXCLUDES TAX, TITLE, TAGS, DMV, DEALER FEE. SEE DEALER FOR DETAILS.